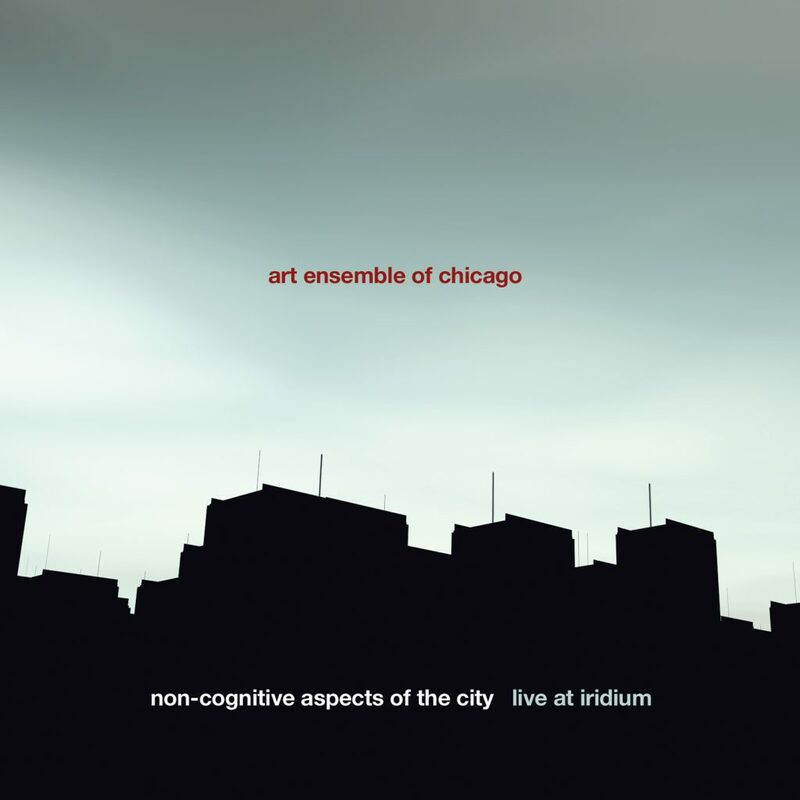 The Art Ensemble of Chicago’s, “non-cognitive aspects of the city” is a double CD representing two sets recorded during the band’s rare six-night engagement, March 30th through April 4th 2004, at the Iridium Jazz Club in New York City. Engagements of that length are rare nowadays and Pi Recordings was anxious to be able to hear the band develop their sound in front of an audience in one city for a week straight. Rarer even than that though is the induction of new members, Corey Wilkes (t) and Jaribu Shahid (b) into a band with a history and influence as deep as the Art Ensemble’s. We were there all six nights, 14 sets in all, and it was amazing to see the band coalesce and grow over the course of the week. Early in the week, the musicians were understandably somewhat tentative, which one would expect with new musicians coming to a music that is so unique and so drenched in its own ritual and tradition. But by the time of these recordings on Friday and Saturday nights, the band was playing as one with power and cohesion. Some will inevitably try to compare Jaribu to Malachi and Corey to Lester, a fool’s errand for sure. Both bring their own strengths and voice to the music and neither try to copy the style of their predecessors. Corey would tell us later that he was in awe that entire week, as it seemed that the entire extended AACM family attended the shows. In fact, Corey said he gained a great deal of confidence after Lester Bowie’s wife Deborah encouraged him to carry on the trumpet tradition in the band and thanked him for doing his own thing and not trying to imitate Lester. These same musicians, two years after this recording, continue to perform and perpetuate the legacy of The Art Ensemble of Chicago. The two CDs are the first readily available live releases to exclusively feature The Art Ensemble since their “Live in Japan” release of 1984. The two complete sets on two CDs capture the band in all its unpredictable glory while at the same time observing the ritual of an Art Ensemble set. The music runs the gamut: Joseph Jarmans spirituality and poetry (“The J Song” and “Erika”), straight out funk driven by Jaribu and Don Moye (“Big Red Peaches”), a warped take on hard-bop (“Song for My Sister”), open explorations (Red Sand Green Water) and a dedication to a comrade past (“Malachi”). Each set is wrapped up by a different version of the bands theme song “Odwalla”. Non-cognitive Aspects of the City continues Pi Recordings’ documentation of one of music’s most important bands and one of Americas greatest treasures. More importantly though, it captures the continuing development of the band as they move forward and carry on what is now one of the longest running musical associations in any style of music. It also makes clear what the band has always known: It’s not about “who” is doing it, but about “what” is being done. Not surprisingly, the “who” here is more than up to the challenge. With the front line once again filled out, the band is able to stretch out and create vital music in the way that has influenced everyone from the Vandermark 5 and John Zorn to the Anti-Pop Consortium.